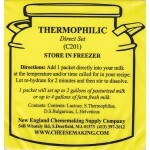 Used in producing moderate temperature loving cheeses including Cheddar, Monterey Jack, Gouda, Edam,..
Used to produce Mozzarella, Parmesan, Provolone, Swiss, Gruyere, and other Italian and Swiss style c.. 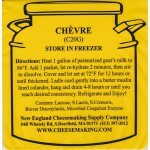 Produces a rich and creamy tasting fresh cheese from your goats milk. 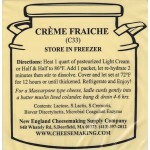 Direct Set Culture ..
Add this to light cream for a delicious Creme Fraiche that may be served fresh or used in cooking. W.. 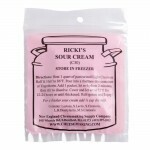 Sour Cream Starter will turn a quart of cream into delicious, thick, "old world" style sour cream. 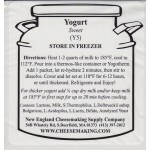 F..
A soft, creamy spreading cheese similar to cream cheese with a delightfully rich flavor. So simple t.. 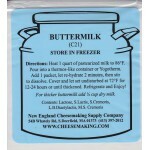 This is a thick, old-fashioned New England Buttermilk which can be made with skim or whole milk. 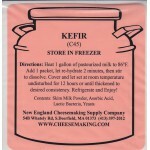 The..
Kefir has been called the "champagne of dairy products." Kefir produces a rich, creamy drink with a ..
A creamier, richer and sweeter yogurt that is simple to make and wonderful to eat. 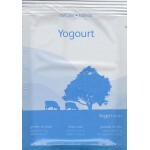 Works very w..
A delicious, rich, creamy and tangy yogurt which may be recultured. Each packet will set as lit.. 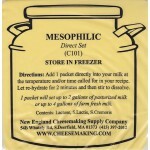 This (mesophilic type) culture adds a buttery taste to any soft cheese such as Havarti, Gouda, Edam,..
For use with Penicillium Candidum in a ratio of 1 part Geotricum to 5 parts p.candidum. 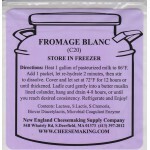 White to cre..
Used to ripen and flavor Brie, Camembert, Coulommiers, and a variety of goat cheese. It produces a w..
Blue mold that is used to ripen and give flavor to Blue, Gorgonzola, and Stilton type cheeses. One p.. 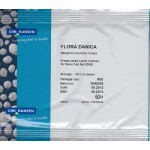 Produces the characteristic eyes (holes), aroma and flavor associated with Swiss, Gruyere and Emment..